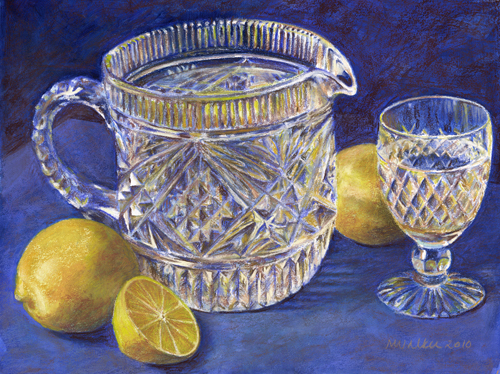 Published June 29, 2015 at 500 × 374 in Sparkling Water with Lemon. 11.5″ x 15.5″ pastel painting. 2010 River Gallery, Honorable Mention Award: Water, Water, Everywhere.